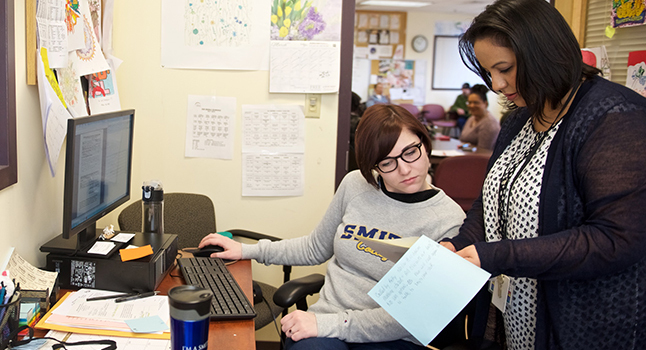 In their clinical internships, our doctoral students develop and refine their advanced practice skills, gain the knowledge and skills necessary to develop research questions about practice, and develop the knowledge that positions them to assume national and international leadership roles in clinical social work education. Doctoral students complete two eight-month internships, during which they spend three days a week working with clients and client systems in depth. Each student receives intensive twice-weekly advanced supervision and/or clinical consultation with an advanced practitioner, whose engagement with the student helps to deeper his or her clinical knowledge and skills. Work-study internship where students continue in their existing paid positions with agencies, while designating three days in that position for their clinical learning. Work-study internship two days a week where students continue in their existing paid positions with agencies, designating two days in that position for their clinical learning. A third day of clinical learning is spent in a private clinical social work practice setting. A (paid or unpaid) clinical internship in a setting that offers a wide range of clinical and educational opportunities.